Dr. Dogan began her training at Hacettepe University in Turkey, where she earned a degree in dentistry. After moving to the United States, she studied at New York University’s College of Dentistry, earning her D.D.S degree. She has been practicing dentistry since 2000 and opened this location in 2012. 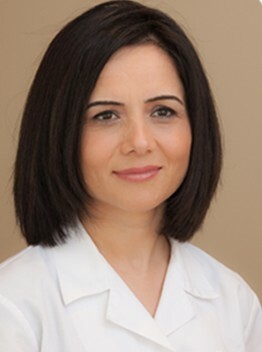 Since earning her degrees, Dr. Dogan has continued to remain abreast of developments in the field of dentistry. She is a member of the American Dental Association, New Jersey Dental Association, and Passaic County Dental Association.Dr. Dogan is fluent in both English and Turkish, and knows some Spanish. When she’s not seeing patients, Dr. Dogan spends most of her time with her husband and two daughters.